“It’s not as simple as saying we’ll just let people smoke wherever they want on campus,” says one administrator. As a new academic year approaches, universities across Canada are struggling to develop policies in response to the legalization of recreational cannabis. Many uncertainties remain, and while universities differ in how they plan to deal with cannabis on campus, they tend to agree on one thing: it’s complicated. The Trudeau government’s cannabis legalization bill cleared the Senate on June 19, the final hurdle before becoming law, and the legal sale of cannabis will begin October 17. The Cannabis Act creates a new regulatory framework for the production, distribution, sale and possession of cannabis in Canada, but gives provinces and municipalities authority to enact some of their own guidelines and restrictions. Universities will therefore face a tiered set of laws that they will have to account for when drafting their own policies. Quebec lawmakers, for instance, have introduced legislation that would ban the smoking and vaping of cannabis on university campuses, except for research purposes. Calgary’s city council approved a bylaw that would ban all public cannabis consumption (except for medical purposes), and several provincial governments were also considering such a move. “At the municipal and the provincial level, there are still a lot of unanswered questions, and the landscape around legalization of cannabis is certainly very fluid at this point,” said Kevin Friese, assistant dean, students, health and wellness, at the University of Alberta. One of the key challenges is a university’s complex environment, said Kane Kilbey, associate vice-president, human resources, at the University of Victoria. “We’re not a homogeneous organization,” he said, pointing to the wide range of activities and people found on campus, including members of the public and children visiting each day. Most universities that ban the smoking of tobacco products on campus will likely extend this to cover cannabis as well. The University of Regina just instituted a full smoking ban, whether tobacco or cannabis, scheduled to take effect August 1. At the University of Saskatchewan, smoking is banned inside residences and other buildings and within a 10-metre perimeter of them, along with outdoor seating areas, but is allowed elsewhere on campus. However, since the province is looking to ban recreational cannabis use in public, any university policy regarding outdoor spaces would have to align with that legislation, said Patti McDougall, the university’s vice-provost, teaching, learning and student experience. Dr. McDougall is working with a team to draft policies that she expects to go before the university’s board of governors this fall. The team has been canvassing students, as well as public health and policy experts, for their views and is also in discussions with legal counsel. Mount Royal University was considering setting up a few designated areas on campus for cannabis smoking or vaping. The proposal had been approved at the president’s executive committee and was set to go to a 30-day community consultation phase for input, said Steve Fitterer, vice-president, student affairs and campus life. But then came the city bylaw which would ban public cannabis consumption. However, it’s possible the bylaw could be amended, such as to create designated cannabis consumption locations in Calgary, a city spokesperson wrote in an email. But, “these areas would not include universities or businesses,” said the spokesperson, adding that the bylaw would likely not apply to dorms. “It’s going to be very much about trying to get some kind of a balance between where the city is going to position itself, and provincial and federal legislation,” said Mr. Fitterer. There’s also the issue of growing cannabis in student residences. “We will not allow cannabis to be grown – in the same way that we do not allow alcoholic beverages to be brewed, distilled or fermented – in residence rooms,” said Acadia University spokesperson Scott Roberts in an email. U of S and U of Regina are planning to take the same approach. McMaster University became smoke-free in January, so smoking, be it tobacco or cannabis, will not be allowed anywhere on campus, said Sean Van Koughnett, dean of students and associate vice-president, students and learning. The university will allow people to possess cannabis on campus and in residences according to amounts specified in legislation, similar to how the university treats alcohol, he said. Consuming cannabis in the form of edibles “will be allowed in line with the legislation and treated the same as alcohol,” so no underage consumption or consumption in public. But, Mr. Van Koughnett acknowledged, it may not be readily apparent when someone is eating cannabis products. As for medical cannabis, he said it’s something McMaster would find a way to accommodate, which is in line with what other universities have said. 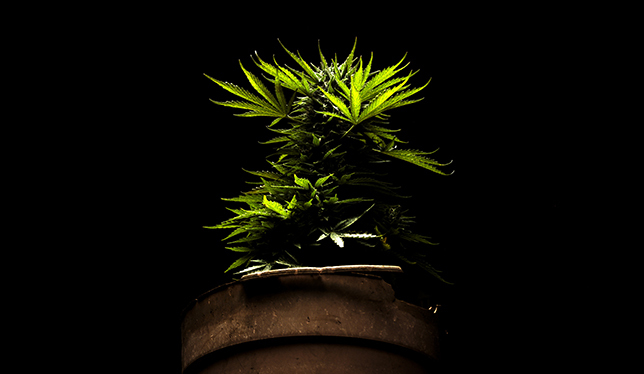 The university is still undecided about growing cannabis. “One of the practical problems with having a plant in residence is the odour, which may disturb roommates and other residents,” he said. McMaster plans to educate students about cannabis use, with a focus on harm reduction. “It is difficult to predict how many students may want to try a newly legal substance, but we want to make sure they have as much information as possible in order to make an informed decision about using it, and to use it responsibly if they do,” said Mr. Van Koughnett. McMaster will roll out educational material during frosh week, in social media, print material around campus, digital signage and workshops. Mount Allison University, located in the town of Sackville that is set to become home to one of the Cannabis NB retail stores, is also taking a harm-reduction approach and will include cannabis as a topic in orientation activities focused on health and wellness education. In addition, the university is hiring a staff member to join its student affairs team and offer expertise in this area. All buildings at Mount Allison are smoke-free and cannabis will also fall under this policy, while other rules are still being worked out. The University of Alberta, too, is framing its work around “harm reduction and responsible use,” said U of A’s Mr. Friese, who co-chairs a working group set up last fall to develop recommendations addressing various aspects of legalization. The group includes an advisory team of students, faculty and service providers. They’ve conducted community consultations, town halls and an online survey that has attracted more than 2,500 participants. Mr. Friese couldn’t speak to the specifics of their recommendations, but a few options being considered include a full smoking ban (smoking is currently allowed five metres beyond university buildings), designated “safe spaces” for cannabis consumption, or banning cannabis consumption in certain areas but allowing it elsewhere. As well, U of A’s human resources office is developing a general intoxication policy for faculty and staff that would cover cannabis. The University of Victoria is going through a similar process, said UVic’s Mr. Kilbey, who chairs a working group examining many of these same issues. Currently, the central part of the UVic campus is smoke-free, but designated smoking benches can be found outside the core. How do Universities handle philanthropy from alumni or businesses associated with cannabis? I am a cannabis advocate. Le’ts all support cannabis legalization!